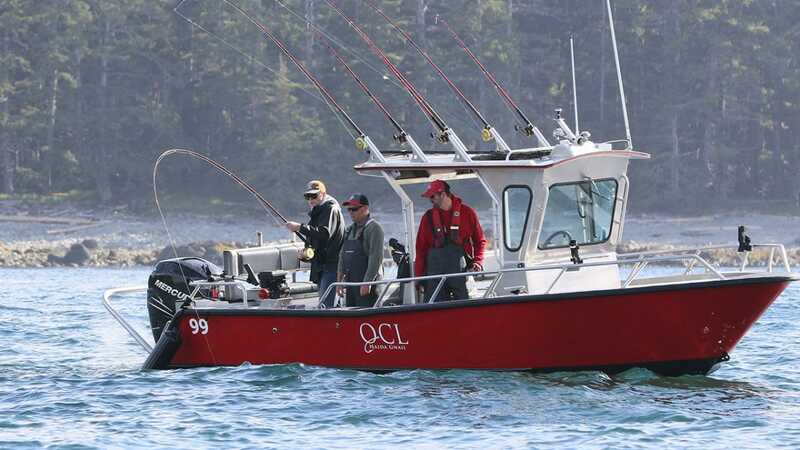 We at QCL are in support of conservation measures designed to enhance and promote our fisheries. We know that our guests have the same respect for the resource; we hear it all the time. Effective June 1st 2018, the Department of Fisheries and Oceans have updated Chinook Retention limits to 1 (one) Chinook per day and Possession 2 (two) Chinook for your trip. Overall Salmon limits have not changed. You can still catch 4 Salmon per day (of which 1 (one) can be a Chinook) and retain in your possession 8 Salmon for your trip (of which 2 (two) can be Chinooks). Your time on the water is not reduced nor is your ability to fish for the amazing Chinook Salmon. Access to Halibut and Ling Cod is also available to round out your catch. We hope that you will join us in supporting these enhancement measures announced by the Department of Fisheries and Oceans Canada, to assist our Chinook stocks to rebound in numbers. As always, we look forward to spending some time with you on your upcoming trip!